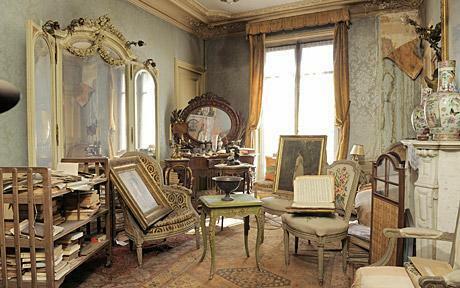 This picture of a Paris apartment, along with its accompanying story, keeps turning up. Which is not terrible if it’s done by every-day social media users or unpaid amateur bloggers like myself, but when paid hacks start regurgitating it with headlines including words like “revealed” or “new”… that bothers me. To put it more bluntly: it bothers me when people get paid for (online) bullsh!ttery, and that’s when I post about my annoyance online. A quick Google Image search instantly reveals that this picture and story have been going around since October 2010, that’s coming up to three years ago. The first wave of publicity seems to have followed publication in The Telegraph (image here). Then around a year ago, a blogger picked up on it (image here) – which I don’t necessarily object to; I mean, I don’t like it if people don’t date their stuff appropriately, but let’s consider bloggers are amateurs like myself and don’t get paid for their content). Then yesterday, roughly a year after that blog post and nearly three years since the Telegraph article, the Daily Mail featured the story (image here) (which is not surprising from tabloid trash but still… a bit silly). Imagine my surprise when today, ‘serious’ newspaper The Independent published the same pictures and story with a headline “Revealed: Eerie new images… etc” (mirror here) – surely that’s embarrassing to say the least? I get it, the Paris apartment left untouched for 70 years harbouring a treasure trove of art and antiques makes for an intriguing story with beautiful pictures to accompany it. But for paid staff at commercial businesses to recycle something this way… that’s journotism to me.